October 30, 2018 8:35 pm. One look at the current standings shows just how tough it can be for jockeys trying to make a mark in Hong Kong. Fifteen meetings into a new season, champion jockey Zac Purton and nearest pursuer Karis Teetan have been responsible for almost a third of all winners. By contrast, 10 out of 21 regular riders have partnered just 19 winners between them and, with Silvestre De Sousa and Alexis Badel about to re-enter the fray and talk of a December return for Joao Moreira, the squeeze in the bottom half of the table promises to get tighter still. However, with Purton sitting out the second day of a ban, this Wednesday’s (31 October) all-weather track card at Sha Tin provides the chance for several riders to kick-start their season and resilient Irishman Neil Callan is hoping to take inspiration from one of his four young sporting sons as he bids to convert one of several promising opportunities. Callan’s season so far has been a story of near misses – with nine seconds to go alongside his two winners – but a recent ban provided the chance to see his seven-year-old son Teddy perform in his first rugby tournament on Sunday. The youngster got on the scoreboard quickly once he found his feet and Callan is confident that he can leave behind his own slow start once the ball begins to bounce his way again. 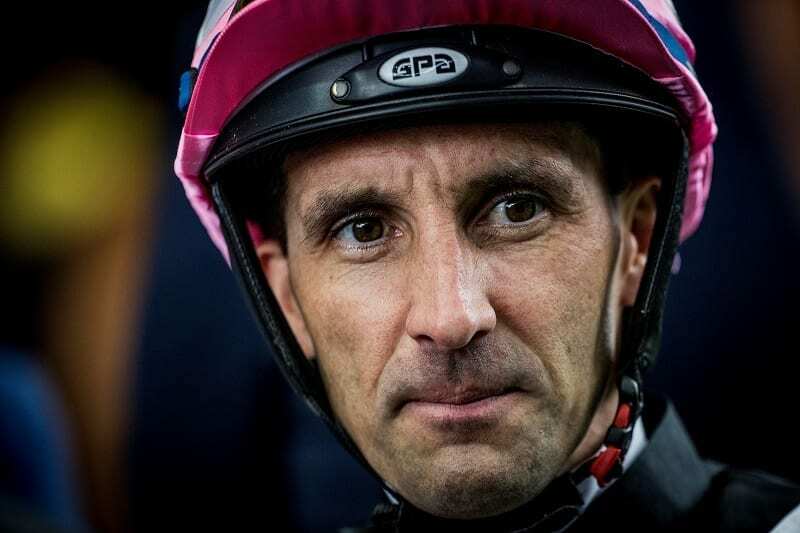 “I missed a couple of winners while I was out for those two Happy Valley meetings – namely Electric Lightning and Nordic Warrior – but that’s Hong Kong for you and when things aren’t swinging your way you just have to keep working,” he said. Callan marks his return by being active in seven of the eight races with a promising book of rides and a first chance to shine for the bang-in-form Jimmy Ting aboard Dr Proactive in the Tin Ha Shan Handicap (1200m) at 8.45pm. “It looks like Jimmy has rekindled the spark in plenty of horses he’s got from other yards and let’s hope this is another,” he said. Callan is hoping the return to the all-weather pays dividends for Dashing Gainer in the second division of the Tin Ha Shan Handicap at 9.20pm and is looking for a strong gallop to help the frustrating but very capable maiden Hay Run make his mark in the Tiu Yue Yung Handicap (1800m) at 9.50pm. Michael Chang’s Tang Fleming turned in “a very good run” when worn down by the well-handicapped King Genki over the course and distance three weeks ago but Callan is mindful of the fact that stall 14 is less than ideal ahead of the Shek Uk Shan Handicap (1650m) at 10.20pm. However, there are no such draw concerns for Big Time Baby in the concluding Pyramid Hill Handicap (1200m) and Callan nominates the ex-English gelding as “probably my best chance of the night” as he bids to continue trainer Manfred Man’s good run. He said: “Big Time Baby loves this all-weather surface and I thought he ran a massive race against one of the best dirt horses around when third to Ugly Warrior here on his first run since February. Champion trainer John Size has used the Jockey Club’s new Conghua facility as the springboard for Calculation’s season and Sam Clipperton is hoping the plan pays dividends in Wednesday’s Hebe Hill Handicap (1650m). The Dandy Man gelding headed off to his new base following his final run of last season in July and returned to Conghua soon after splitting Ugly Warrior and Big Time Baby in a hot race over 1200m on his recent reappearance. Clipperton, who like Callan is looking for his third win of the campaign, feels the time in new surroundings has probably helped Calculation’s maturity. “As a young horse Calculation could get hot and sweaty but he seems to have calmed down these days and Conghua probably helps in that way to keep a horse fresh and mentally calm,” he said.